Mac Petty was probably the best basketball player to ever wear the Blue and Gold of Wooster High. In three seasons he set 11 records, most of which still stand at WHS. In his junior year he set five school records which he broke as a senior. As a baseball pitcher Petty led the General to a sectional title one year and to the regional finals the other year. His high school pitching record was 17 wins and seven losses. In 1963 (his senior year), he averaged 14 strikeouts per game. He was invited to try out with the Pittsburgh Pirates and Milwaukee Braves. (As a sophomore in college, Petty was drafted by the New York Mets, but chose to stay in college instead). Petty was captain of both basketball and baseball teams in his senior year. In all, Petty was offered scholarship from 115 schools to play basketball and/or baseball. After much thought, he chose the University of Tennessee in Knoxville. He played both sports in college. The basketball team won the Southeastern Athletic Conference title and appeared in the Mideast NCAA Regional Tournament in 1967, his junior year. Petty lettered his junior and senior years, while earning his degree in physical education. 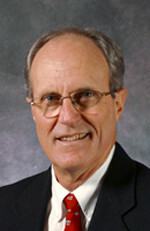 Petty began his coaching career at Loudon High School in Tennessee, where he compiled a record of 41-43 over three years. He next moved to the University of the South at Sewanee, Tenn., as the soccer and assistant basketball coach. His soccer teams won the IISA Championship and the College Athletic Conference. Kyle Rote, Jr. was his leading scorer. He moved up tote head basketball job for three years (1973-76) and had a record of 48-28, winning the CAC championship and making the NCAA playoffs two of the three years. In 1976m Petty moved to Wabash College in Crawfordsville, Ind., where he coaches today. His enthusiasm and motivation has turned the basketball program around at Wabash, winning 20 games last season, the first time in 58 years. Two years ago was the first winning season in 17 years. Petty’s overall basketball coaching record is now 140-115. At the college level, it is 99-72, which means the first game of next season could bring him his 100th college win.